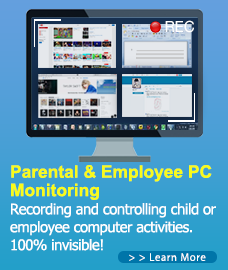 This entry was posted in Computer Monitoring, SurveilStar Parental Control and tagged Children's PC Monitoring, Free Keylogger Pro, Free Monitoring Software, how to protect children from cyber dangers, Keep Your Child Safe Online, Keep your children safe online, Keylogger Free, Monitoring Software 2015, Revealer Keylogger Free, The Best Free Monitoring Software, The Best Free Monitoring Software 2015, The Web Blocker. Bookmark the permalink. ← Stare at Facebook all day? Watch out: Your boss could be monitoring you.